The size of the global app user base reached 3.4 billion in 2016 and is expected to double in size by 2021, according to business analyst firm App Annie. The iTunes store now hosts 2.2 million apps, according to Slash Gear, andGoogle Play topped 3 million apps in June of 2017, according to Statista. The increasing marginal growth of both stores brought with it concerns that the mobile app economy had become too saturated. Both the straightforward nature of app development for iOS devices and the “Wild West” mentality of the Google Play store opened the door for a wave of scam and duplicate apps. Developers would take advantage of the stores’ in-app purchase capabilities and try to capitalize on popular in-store search keywords. 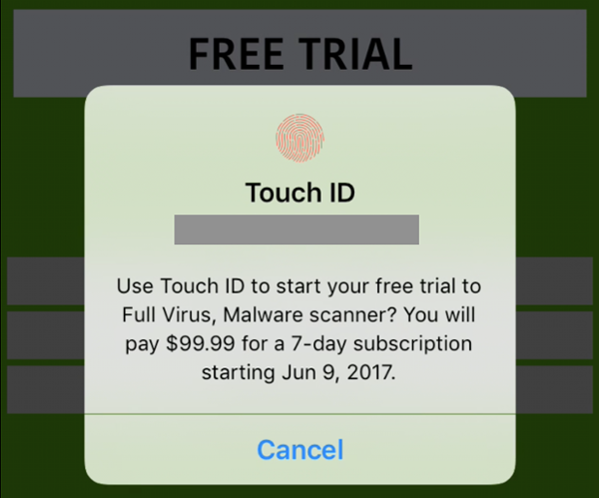 Recently, an app on the iTunes store, “Mobile protection :Clean & Security VPN,” which had users pay a $99.99 per week subscription via Touch ID, reached No. 10 in the “Productivity” category at one point and was estimated to have made $80,000 a month as of June of 2017. Both Apple and Google have committed to cleaning efforts, eliminating apps from their stores if they don’t meet certain criteria. Apple has claimed they will eliminate apps that aren’t 64-bit compatible or come from commercialized, “one-tap” templates that are often used to create slightly-altered copies of whatever app is currently popular. Google announced to developers that apps without privacy policies or with privacy policies that aren’t easily accessible are at risk of being hidden or completely removed from the Google Play store, according the The Next Web. For businesses of all sizes, creating a presence within the app store has become a more appealing maneuver over time. But in response to a swathe of untrustworthy mobile applications, consumers have become increasingly skeptical and react negatively if they feel an app doesn’t deliver on advertised promises. Dirxion offers app development for both the Google Play and iTunes stores. Within the apps, customers are able to view a business’s online catalogs or download them for offline viewing. The catalogs are interactive and optimized with HTML5. Dirxion can also integrate online catalogs into an existing application. Dirxion apps that include keywords such as “online catalog” and outline the app’s performance capabilities and relationship with the company’s e-commerce have historically been better-received by consumers. Companies without a dedicated e-commerce mobile app benefit from an audience built from a Dirxion online catalog app. The apps can give companies a direct avenue to a captive audience of customers via push notifications that can alert them of new catalog releases, upcoming sales and other pertinent company news.